I will be interviewing the above named person, who is a Ghanaian student and achieving great success. 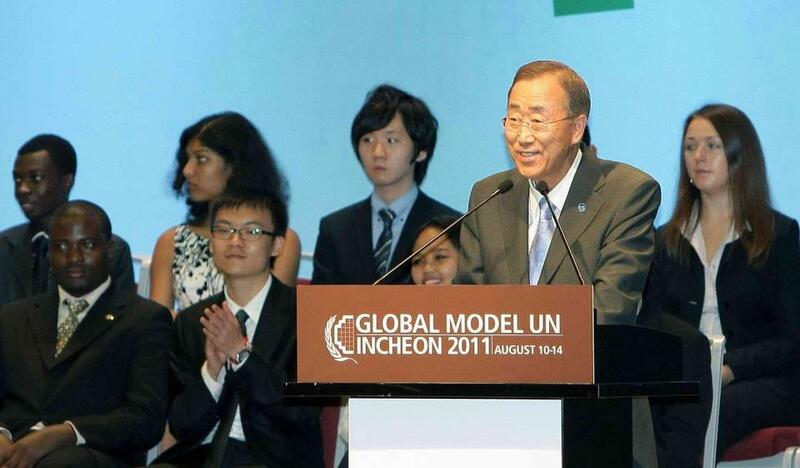 He will be sharing with us his recent visit to Italy, Rome on a Model United Nations Conference. What he did there and how he got to be the Chairman for the General Assembly 1. Sitting from the extreme left on stage, just behind the African guy sitting down. global marketplace. 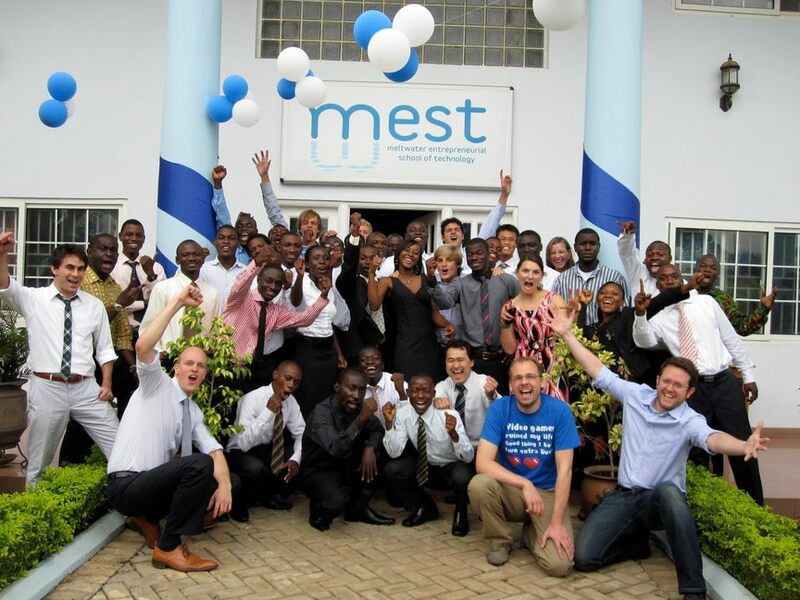 It is our hope that these software entrepreneurs will inspire generations to follow in their footsteps. company that can compete in the global market space. 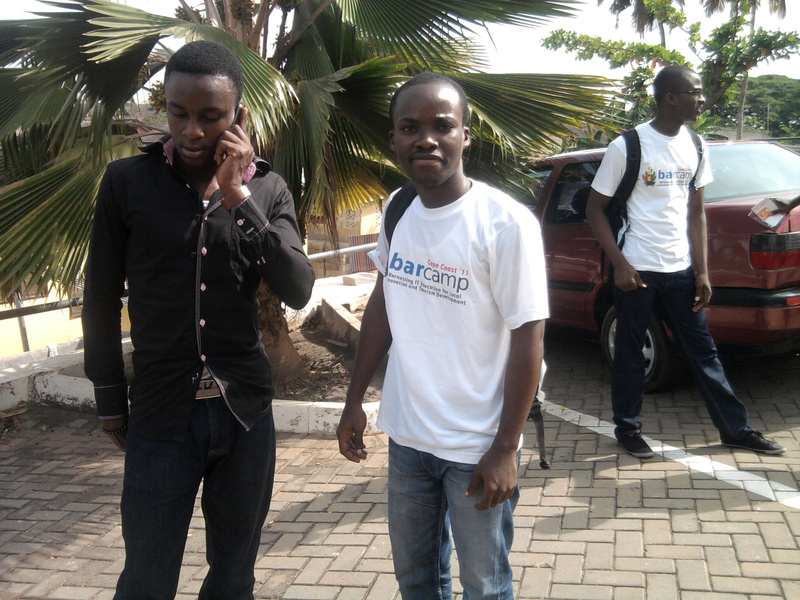 Barcamp started first in the year 2012 at Takoradi. 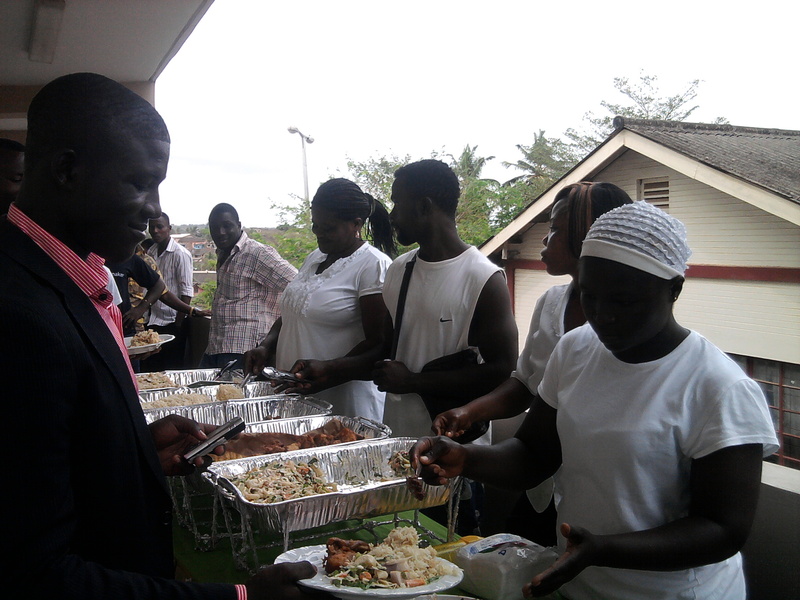 The Takoradi Polytechnic was the venue for the event. 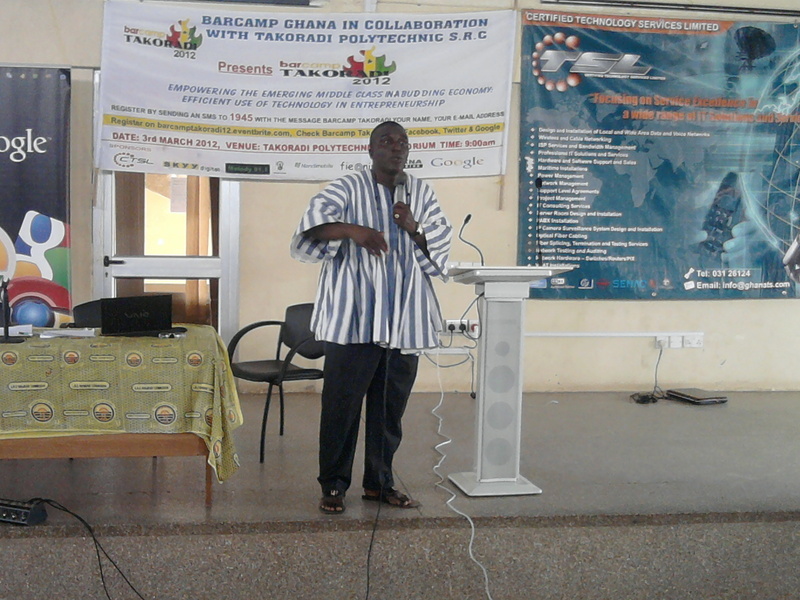 The theme for Barcamp Takoradi was “Empowering the emerging middle class in a budding economy: efficient use of technology in entrepreneurship” and the key speaker was Nana Kobina Nketsia V.
One of his profound quotes was “all education is indoctrination. The best education is indoctrination that makes you aware of indoctrination.”. 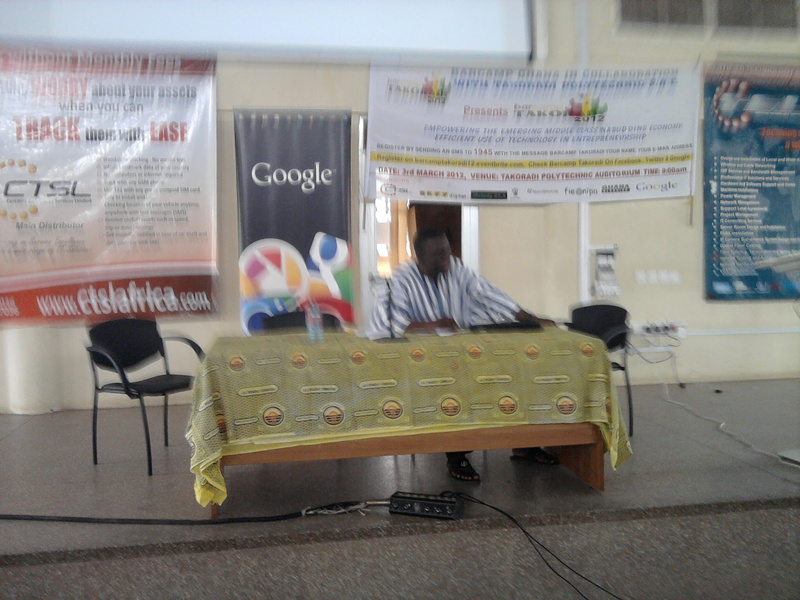 He also stated that entrepreneurship is not about money- it’s about contentment and sense of achievement. He noted that the emergence of technology has destroyed families and other important social relationships, he indicated that we should rather use technology in a positive way. 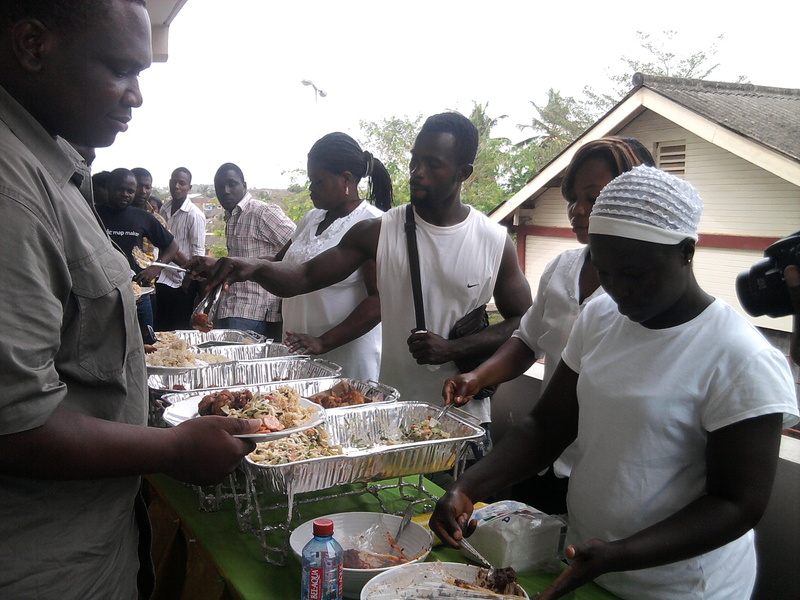 This year’s edition was organized in conjunction with local groups at the Takoradi Polytechnic. 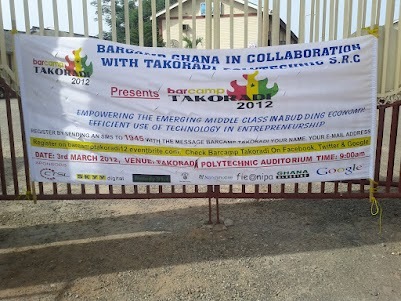 By partnering with these groups, this Barcamp focused on engaging the youth in Takoradi, especially the students. 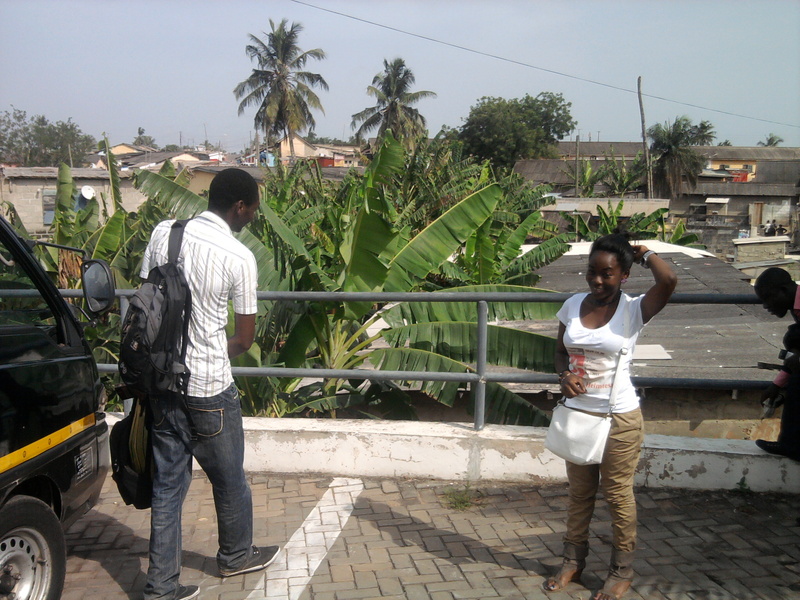 We had students coming from Sekondi College. 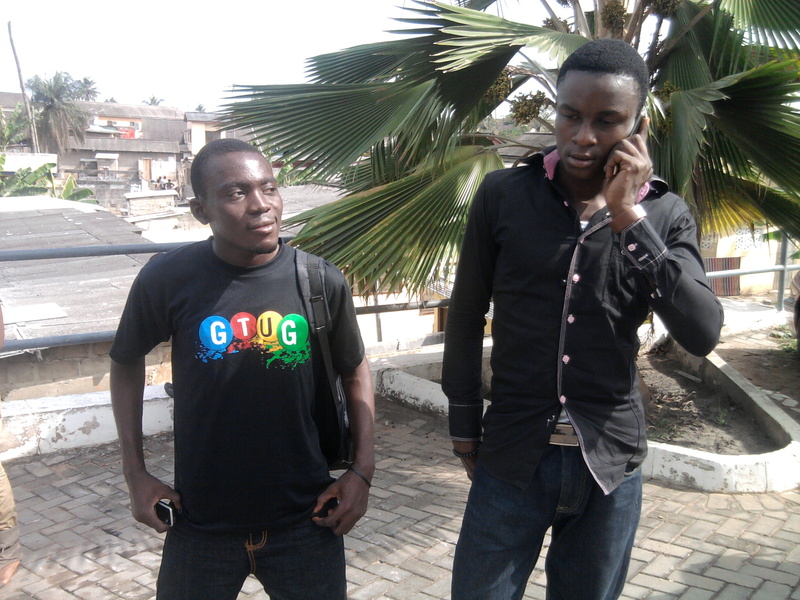 They were thought how to learn in relation to solving the challenges in Africa and the world. We also had students from University of Cape Coast, joining the events and sharing their ideas with the people of Takoradi. The different thing about Barcamp Takoradi was that, the participants were allowed to share their goals or aspiration with the audience and those who had very innovative ideas or had started some projects were giving support to help them succeed. We had a mentor coming in to help the students who were interested in Engineering. 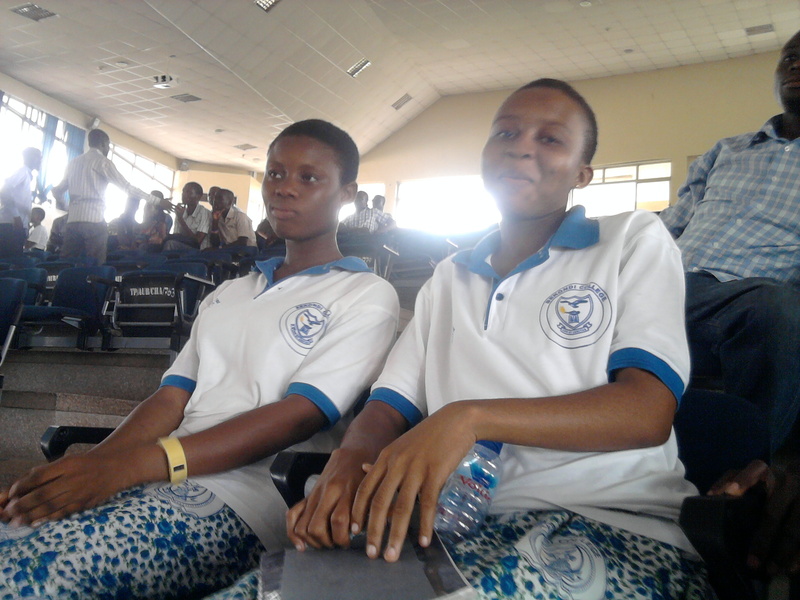 The Ghana Blogging Society also came to the event to teach the students how they can use the social media in the upcoming election. The break out session was great, a new group called the Accra Music Lounge, a non- profit organisation using state-of-the-art space and urban cultural experience and using the power of music to create an environment that nurtures the creative abilities of young people, they joined the breakout session to share their project and also get more ideas from the youth. The lunch was great, as usual at every barcamp participants have to forced to eat the food, since there are a lot to consume. 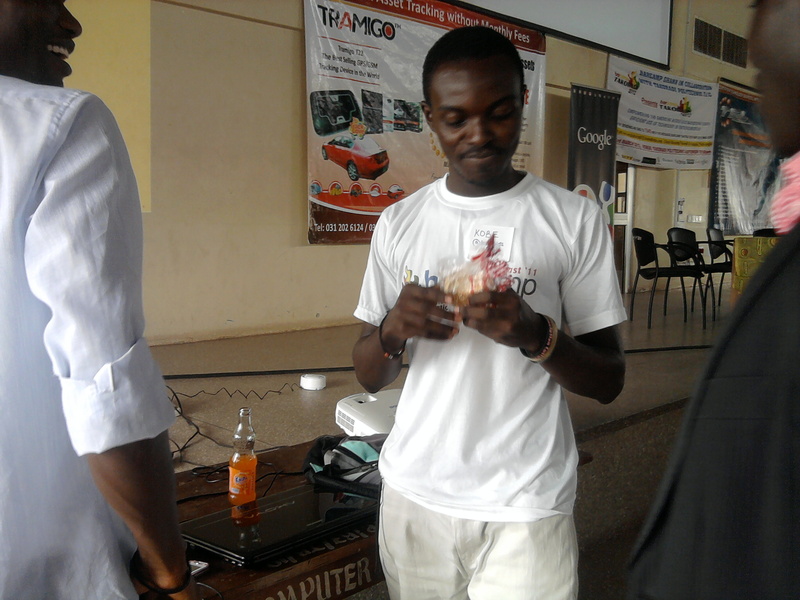 GTUG manager UCC enjoying his snack. The event ended with #morevim for the future! Ignorance they say is a disease! Many of us who are Christians do not know the kind of power we carry or have. What makes the words we speak so important is that, when we speak it is backed by power from God just like how money is useful when backed by gold. Jesus says that, the words I speak to you are spirit, we were created in the likeness of God and therefore we possess His qualities. The world was created with words, the words are not really the important thing, but the power that makes it work, whether the words are good or not. Proverbs 18:21 reads, Death and life are in the power of the tongue: and they that love it shall eat the fruit thereof. We build our lives with our words, when our words are positive and right we will eat the fruit of it, the opposite is also true. Our lives and the things that happen to us daily are as a result of the words we might have spoken unconsciously and it takes effect without our permission. Be careful not to utter any careless words. The reason we need to be careful about our words is that we are spirit beings created by God and therefore we have some of His innate abilities and one of them is the power of words. The reason behind your unsuccessful life is as a result of the words you speak. My day is perfect and everything is falling in line for my good. I am rich and not poor. I am accepted wherever I go and not rejected. I am a blessing unto the world. I am meeting and coming into contact with the right people at the right time and at the right place. I am the righteousness of Christ. I have dominion over sin and it power. I am free from any addiction. I am healed of every sickness in my body. My business is expanding and increasing in profit. I am the best sales person in my company. I am the smartest person on earth.